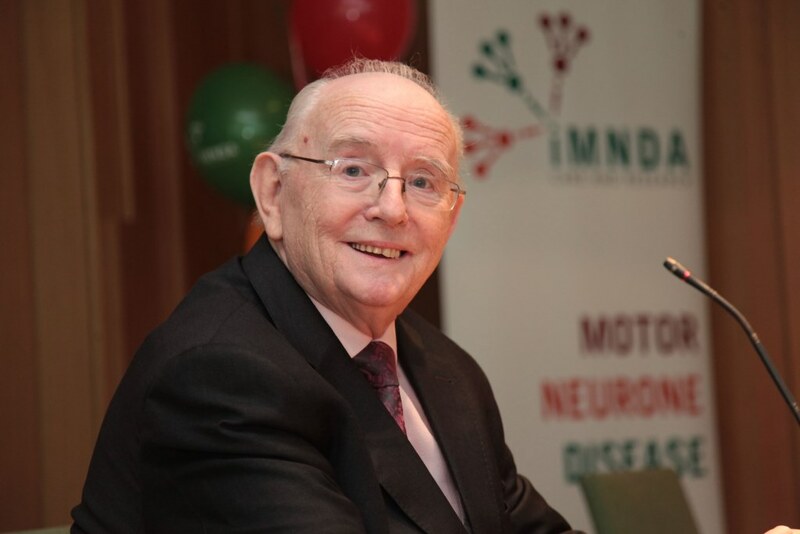 The Irish Motor Neurone Disease Association (IMNDA) has reacted with great sadness to the death of our friend and patron, Jimmy Magee. Jimmy tirelessly supported the charity for well over a decade, following the untimely death of his son Paul from motor neurone disease. No task was too small, no obstacle too high. Jimmy always brought his trademark humour and remarkable ability to bear on our fundraising activities, and helped generate hundreds of thousands of euro to support people living with MND. IMNDA chief executive Aisling Farrell said; “We are truly heartbroken to hear of this news. Jimmy was a constant presence in our fundraising for so long, and helped raise the profile of an illness that has such a devastating effect on people living with motor neurone disease. We will be eternally grateful for his time and effort. The “Memory Man” left us with some wonderful memories. Our deepest sympathy to his family and friends”.